Overview: This course is designed to provide you with a basic understanding of the NCC Volume 3, in particular on the sections and part and how to apply Volume 3. Overview: This course is designed to provide you with a basic understanding of the NCC Volume 3,the structure, the language used and the use of Assessment Methods. Overview: On completion of this course, you will have a basic understanding of how to apply the NCC, an overview of the structure of the NCC, how to comply with it, and the language and terms used in the NCC.  Overview: This course is designed to provide you with a an overview of the Tasmanian building industry regulatory framework and provides details on some of the key legislation and the process. Overview: System types, operations, parts, installation, commissioning and fault finding. Overview: Understanding and comprehension of system sizing, installing, operations, parts, commissioning and fault finding. Overview: Understanding and comprehension of system sizing, installing, operation, parts, commissioning and fault finding. Overview: This unit (an elective unit) covers the preparation of the work, the identification and confirmation of system specifications and requirements, planning of the system layout and work finalisation processes. Overview: This online course covers the importance of sustainable building, adapting to climate change, energy efficiency, teh NCC, industry initiatives and tools for sustainable building. Overview: This unit covers the preparation for the work, the identification and confirmation of system specifications and requirements, the planning of the system layout, and work finalisation processes, including records and documentation. Overview:This unit covers the preparation for the work, the identification and confirmation of system specifications and requirements, the planning of the system layout, and work finalisation processes, including records and documentation. Overview: This unit covers preparation for work, identification of testing and commissioning requirements, physical testing and commissioning of devices, maintenance of devices and completion of work finalisation processes. Overview: This unit specifies the outcomes required to test, commission and maintain hot and/or heater water temperature control devices, including thermostatic mixing valves in water services. Overview: This course is specifically designed for plumbers and other trades that install and service water heaters. Learning outcomes are sizing, installation, commissioning, parts, fault finding. Overview: This course is for those tradespeople who are required to refresh their skills and knowledge in the disciplines of electrical compliance, testing and verification. Overview: This units covers preparation for work, identification of water service and system requirements, planning the service and system layout and completion of work finalisation processes. Overview: This online course covers energy management, energy efficient appliances, solar energy, lighting options & indoor and outdoor water management. Overview: This course covers learning about the importance of sustainable building, adapting to climate change, energy efficiency, the National Construction Code (NCC) and industry initiatives. Overview: This course covers window design including glass thickness, lamination, insulation & glazing, films, conduction, energy ratings, weather tightness & noise. Overview: This course covers the 5 key areas of construction safety including fall prevention, moving plant, electrical safety, form work safety & risks of asbestos. Overview: This course covers window wind loads, thermal comfort, bushfire attack levels, BCA provisions, strata schemes, correct installation & care and defective operation. Overview: This course unwraps the National Waste Policy for builders and receive clear guidance on a builder's responsibilities under the policy. Overview: This course explores the categories of renewable waste and receive practical guidance on waste management planning.